Only available for shipping within the United States. Cartoon Collections is the only online source for these signed copies. The perfect gift for cartoon aficionados! This monumental, two-volume, slip-cased collection includes nearly 10 decades worth of New Yorker cartoons selected and organized by subject with insightful commentary by Bob Mankoff. 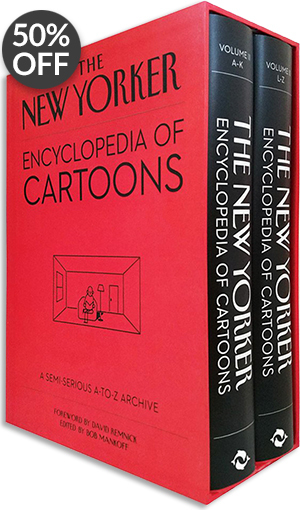 This is the most ingenious collection of New Yorker cartoons published in book form, The New Yorker Encyclopedia of Cartoons is a prodigious, slip-cased, two-volume, 1,600-page A-to-Z curation of cartoons from the magazine from 1924 to the present. Mankoff – for two decades the cartoon editor of the New Yorker – organizes nearly 3,000 cartoons into more than 250 categories of recurring New Yorker themes and visual tropes, including cartoons on banana peels, meeting St. Peter, being stranded on a desert island, snowmen, lion tamers, Adam and Eve, the Grim Reaper, and dogs, of course. The result is hilarious and Mankoff’s commentary throughout adds both depth and whimsy. The collection also includes a foreword by New Yorker editor David Remnick. This is stunning gift for the millions of New Yorker readers and anyone looking for some humor in the evolution of social commentary. 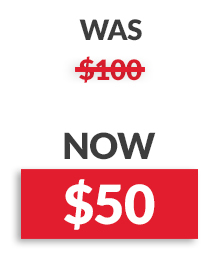 Promotional discounts cannot be used in conjunction with this product.